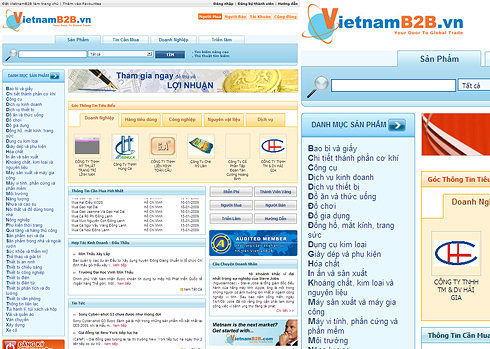 SPV owns and operates VietnamB2B, the biggest online B2B website in Vietnam. The site is a platform for both international and domestic traders to promote their goods and services online. There are more than 20,000 members, from Vietnam and 60 other countries around the world, conducting transactions on VietnamB2B. VietnamB2B not only provides effective and efficient online trading tools and services for clients, it also offers a wide range of offline services to assist international and Vietnamese business traders. All product descriptions and company profiles are carefully screened before being posted, and a powerful search engine allows users to find exactly what they’re looking for.